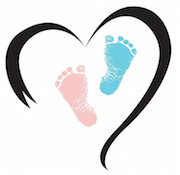 October is Pregnancy & Infant Loss Awareness Month and I was touched by the invitation to guest post over at ‘Natalie Brenner Writes’. It’s important to bring awareness to the fact that miscarriages happen and even more than that, I love coming along side of those going through pain and grief and reminding them they aren’t alone. I invite you to hop over to ‘Natalie Brenner Writes’ to read my post about the tunnel – the tunnel that is life after a miscarriage. I hope that if you can relate, that it gives you hope today in the goodness of God. Thanks for reading!